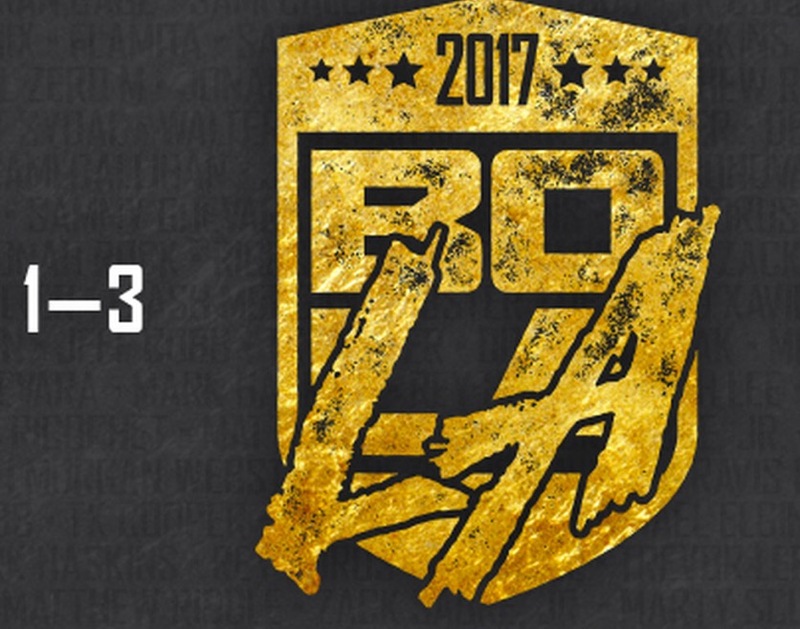 PWG Battle of Los Angeles Stage Two: As close to perfect as possible – AiPT! Save for one match, a near perfect card. Stage One spoilers below, obviously. Stage One Recap: Dezmond Xavier upset Brian Cage, Marty Scurll survived a scare and Flash Morgan Webster, REY FENIX defeated an injured Rey Horrus, PENTA EL ZERO M and Zack Sabre Jr. handily won their matches and Ricochet almost killed himself en route to a victory. Donovan Dijak vs Trevor Lee: Lee’s strategy is to win by count out and conserve strength for a deep tournament run. Dijak is like a teenager who still has not grown into his body. Many of his movements look very uncoordinated. Cool sequence as Dijack keeps trying for the discus lariat and Lee counters with a punch, then an elbow, then finally a superkick before ending with the running fallaway slam. That gets two. Dijak eliminates Lee with the Feast Your Eyes. Sammy Guevara vs “Bad Boy” Joey Janella: Guevara plays to the crowd after every move. Commentators Excalibur and Chuck Taylor talk about the amount of time Guevara spends showboating. On cue, Guevara whips Janella into the corner and proceeds to pose for the fans. Unique spot as Guevara monkey flips Janella who is sitting on a chair. The chair lands in a seated position with Janella sitting on it as if nothing has happened. Guevara charges Janella who counters with a Death Valley Driver on the chair. Janella kicks out after a Burning Hammer ON A CHAIR! Guevara wins shortly after with a 630. This is the type of match PWG haters will point to. Guevara has no sense of selling. He never took more than two consecutive moves and just seemed to want to get in all his spots. Janella was not much better. As a PWG fan, I hope no one ever sees this match. Travis Banks vs. Mark Haskins: Haskins looks like mix between a young CM Punk and Tyler Black. In a nice change of pace from the rest of the tournament, the match starts with a feeling out process and is more submission and strike based. Nice back forth between the two. Banks pins CM Seth after a springboard enziguri. Sami Callihan vs Jeff Cobb: Taylor states that after 10 years Cobb has come to realize that “Mr. Atheletic” is the worst nickname in wrestling ever and does not want to go by it anymore. Cobb lives up to the awful nickname after dropping Callihan on his face then hitting a picture-perfect standing moonsault. Cobb wins after the Tour of the Islands. Sloppy match mainly due to Callihan. Michael Elgin vs Matt Riddle: Crowd loves Riddle. Both give a shout out to Ronda Rousey, who is in the crowd. Elgin controls early, countering everything Riddle tries. Yet another different style of match as the two work a big man vs small man match. Great moment as the 275-pound Elgin goes to the top and Riddle gets up to slam him off. Elgin grabs the top rope and cartwheels around Riddle and back to the mat. Elgin scores a series of near falls. Great ending as the two trade a series of Tombstone reversals until Riddle finally gains the advantage and gets the pin. Excellent match. Keith Lee vs. WALTER: J.R. should be calling this one. Old school big man match as the two super heavyweights take turns no selling each other’s moves. Lots of clubbing blows and plodding offense. Both men climb to the top as Taylor says, “This is where the ring breaks.” Somehow the ring survives WALTER hitting the butterfly superplex. The whole ring shakes on a Spirit Bomb from Lee. WALTER hits a shotgun dropkick on Lee causing a woman in the audience to jump back. WALTER keeps using the sleeper but on the fifth attempt Lee picks him up in a fireman’s carry position and turns it into a powerslam for the win. Great big man match. The Elite (Kenny Omega and the Young Bucks) vs. Flamita, PENTA EL ZERO M & REY FENIX: Crowd loses their mind when Omega and PENTA face off. The ring is apparently broken from the previous match. The Elite work comedy into the match seamlessly. Too many awesome spots to list. For example, PENTA and his brother are on the top while The Elite are on the outside. FENIX hurricanranas his brother to the outside onto them. Elite win after an Indytaker followed by the One Winged Angel. Great match despite the broken ring. Scary to think this could have been better. Overall Thoughts: A great card that rivals anything put on by the WWE this year. The last three matches are must see while the non-tournament tag match is also really good. No two matches are alike. Remove Sammy Guevara’s nonsense and you have a near perfect card. Stage Two is one of the best cards of the year. Different styles of matches prevent boredom. Great matches and moments up and down the card. Sammy Guevara should never be allowed near a wrestling ring again.